To love our neighbor as ourselves is the second great command that our Savior gave us, eclipsing all others, but one. It is not a suggestion. Curiously, the question of "who is my neighbor?" came up the very moment Jesus gave us this command. And it comes up today. Jesus was colorfully clear; our neighbor includes the person who lives on the far end of our ideological or sociological spectrum. In light of and despite the divisive issue that homosexuality has become in both culture and the church, "Loving My (LGBT) Neighbor" is conceived and thoughtfully written - from the authors' decade-plus years of engaging this issue at all levels - for the Christian layperson or clergy who want to learn how to receive and interact with their gay or lesbian neighbors in a substantively Christ-honoring way. On the whole, our behavior here has been a mess, regardless of where any of us might stand on the issue. We can do better and we "must." This book is for the individual who is trying to find a balance between extremes, a middle ground between wholesale, uncritical acceptance or bigoted, hateful exclusion. So how does Christ's Church engage this issue - and more importantly, the God-imaging people involved - as the counter-cultural, world-upending people we are called to be? 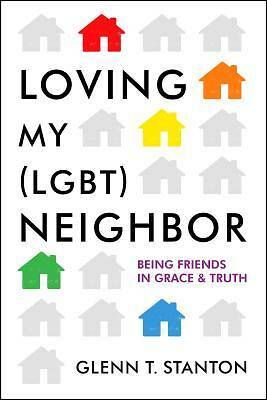 "Loving My (LGBT) Neighbor" is focused squarely on providing carefully developed scripturally-based wisdom from real-life situations.